To get started, lay your fabric out on your work surface and place a bowl or plate on the fabric. 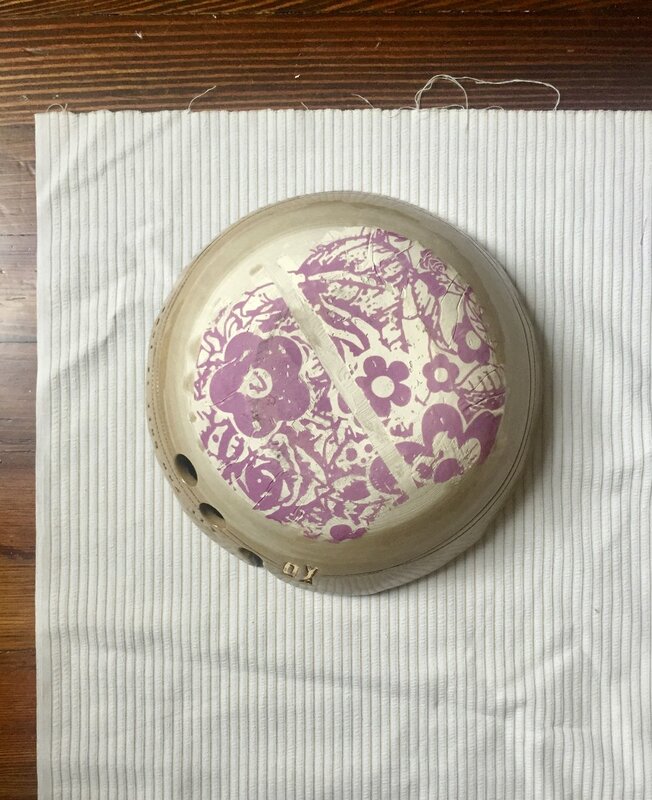 Trace around the bowl with a pen, marker, or thin sharpie, and then cut out your circle. * Anything smaller than a bowl or plate and your end result might look more like an acorn! 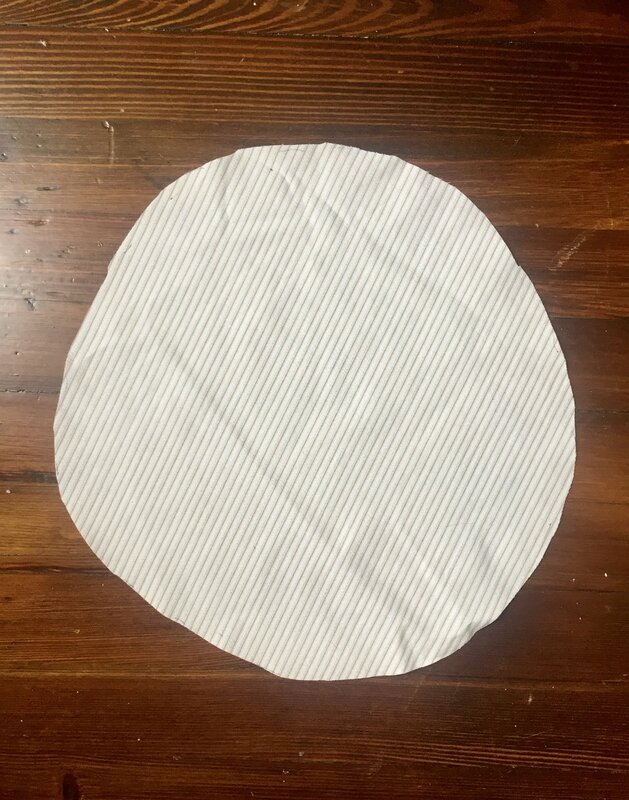 The circular piece of fabric doesn’t have to be perfect (as shown with mine!) because the ends will be sewn up and you won’t notice inconsistencies. Do this around the edge of the fabric, pulling every so often, allowing the fabric to start to gather. Once you get close to the end, add some Poly-Fil to fill out your pumpkin. Continue with the stitching and pull the thread taut and knot the end making sure you don’t give up any slack. 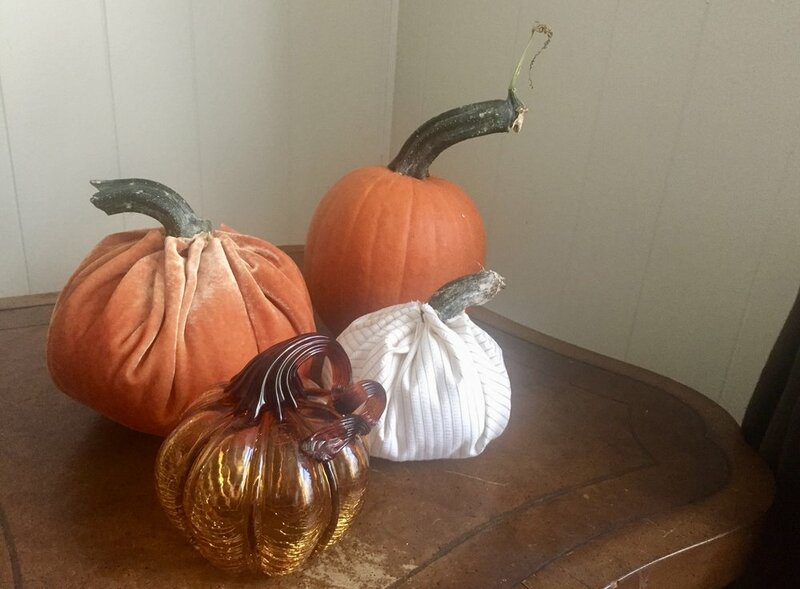 Then, using your glue gun, put a generous amount of hot glue on the end that you just gathered and tied off, and put your pumpkin stem on top. Hold in place applying pressure for 30 seconds. And that’s it! You can play with the size of them, type of fabric used, and type of stem to create your very own fabric pumpkin patch!